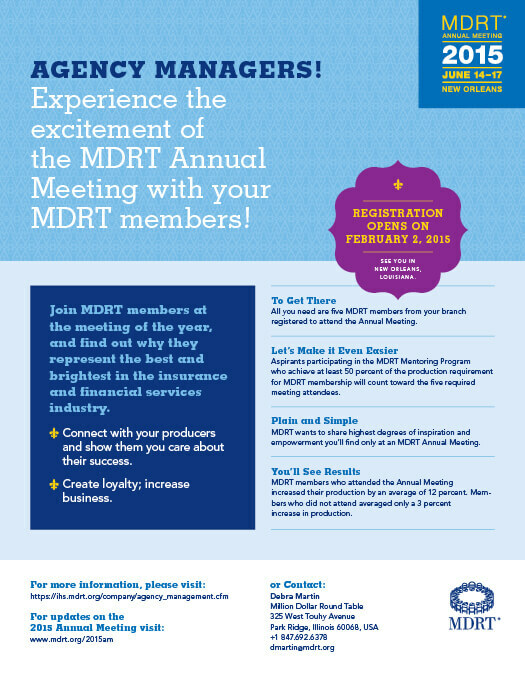 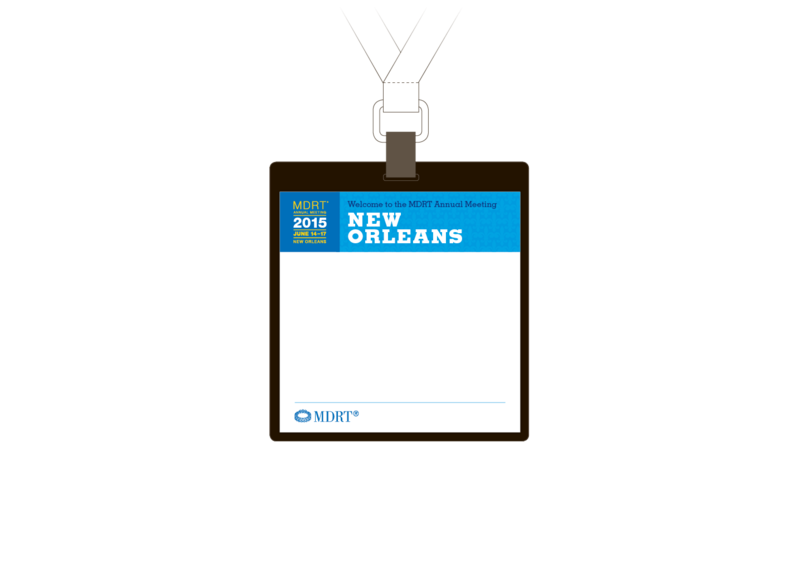 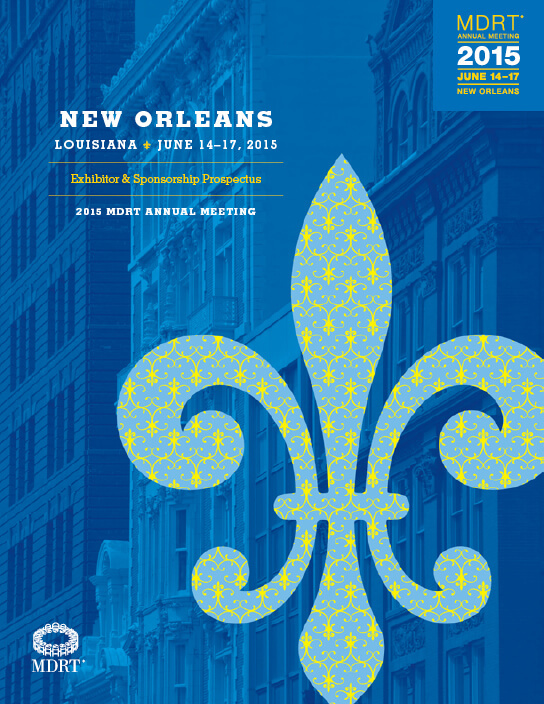 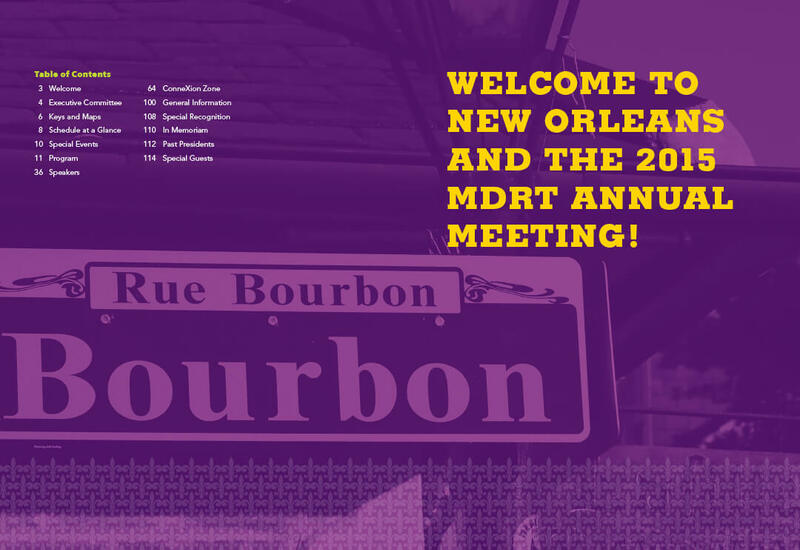 New Orleans (Louisiana) served as a culturally rich backdrop for the MDRT annual meeting, and the energetic marketing campaign invited members to make the journey to the Big Easy. 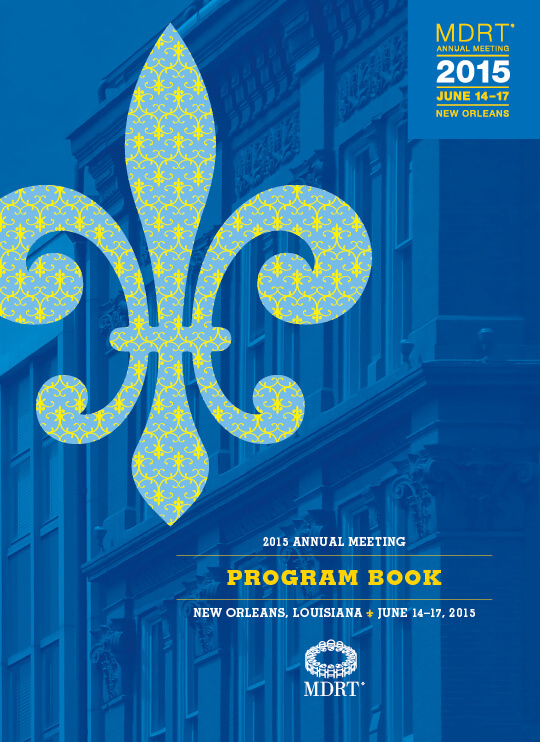 Graphic elements such as the fleur-de-lis, mardi gras mask, and trumpet were paired with intricate patterns that created a textural design that was both lavish and eye-catching. 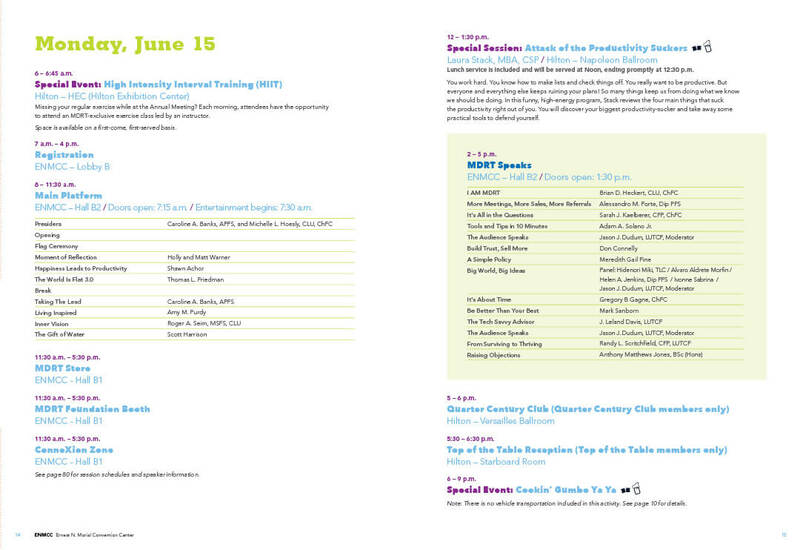 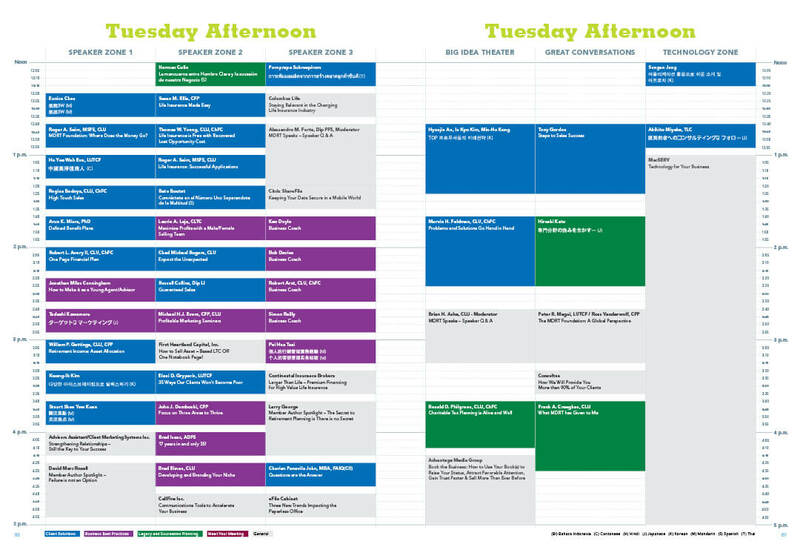 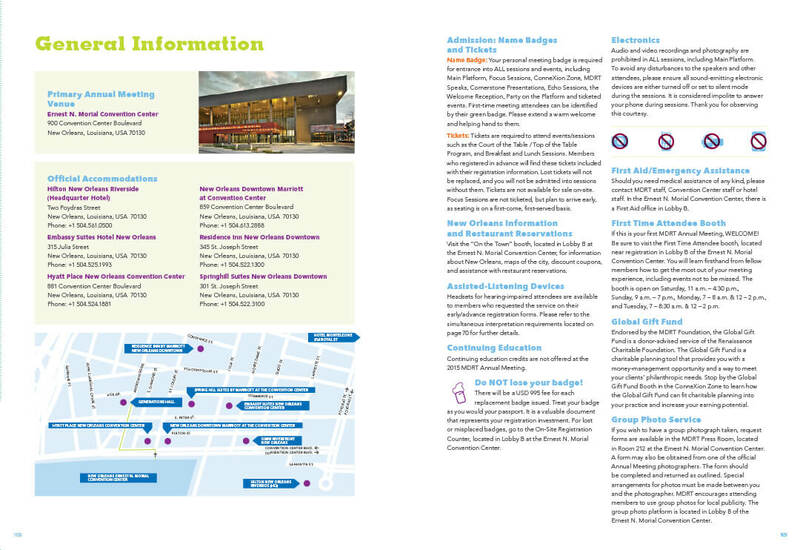 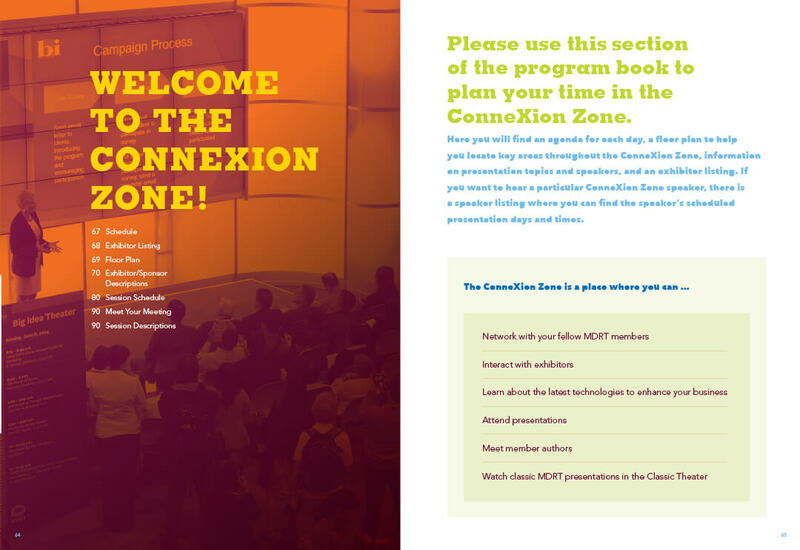 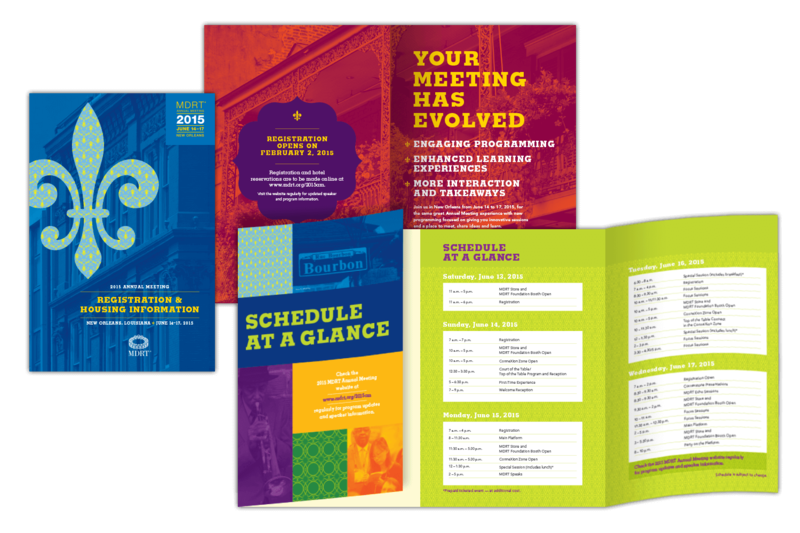 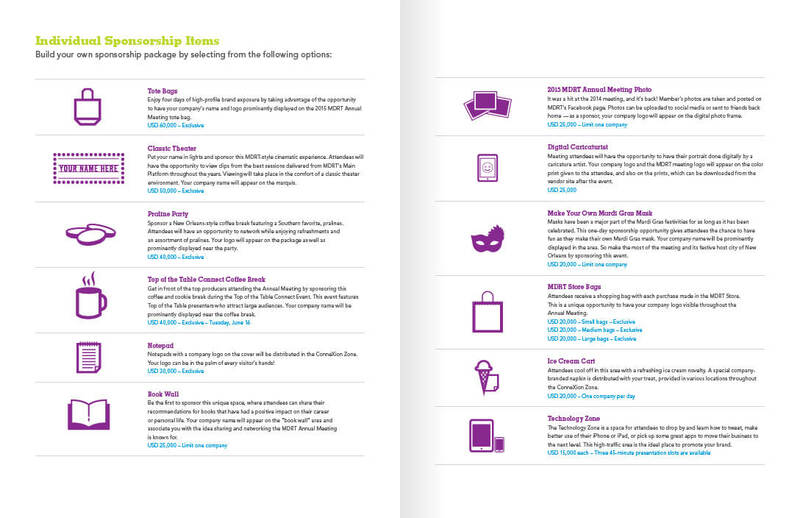 With over 12,000 attendees and four days of events, speakers, and small group sessions, the 120-page program book was well-designed and carefully organized to get everyone to the right place and at the right time. 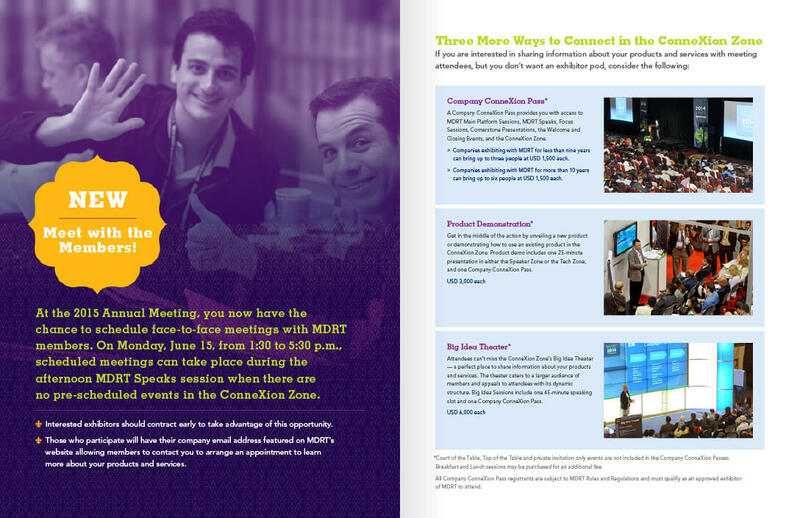 Registration Book One of the first marketing pieces members received about the meeting was this 16-page brochure which was designed to inspire and excite them to attend. 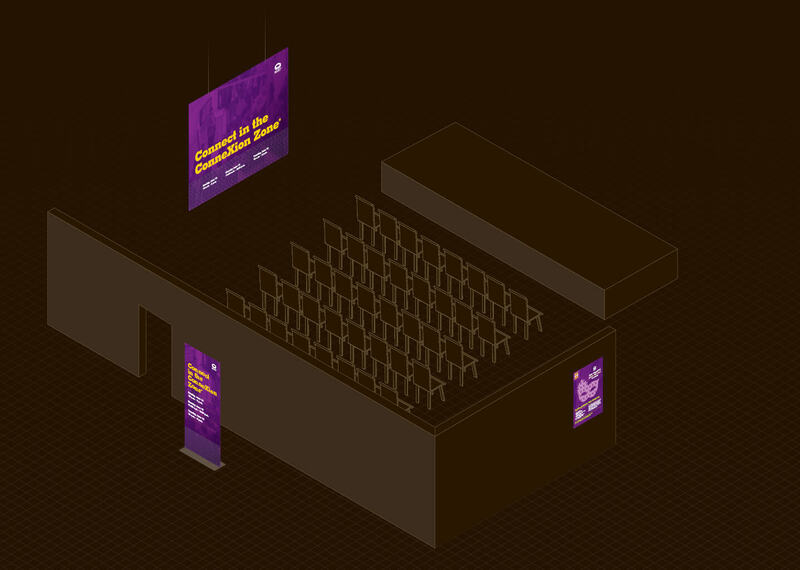 The materials at the event were designed to fit within the overall theme and brand the event inside of the convention center. 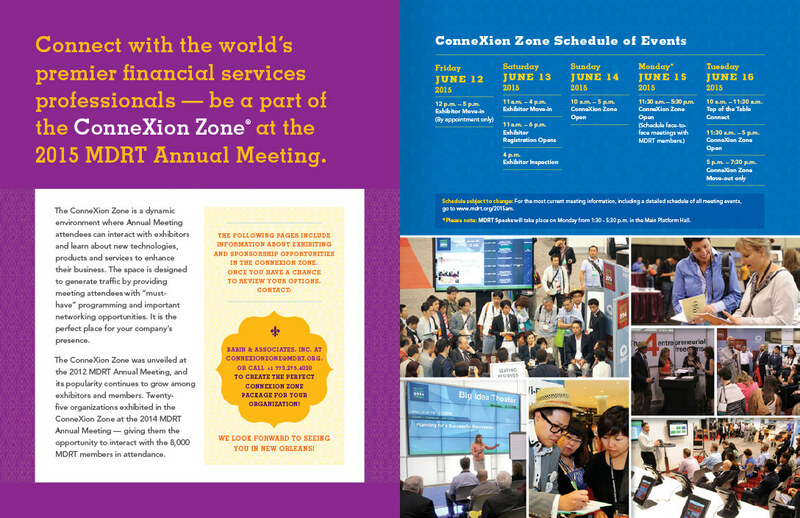 A series of print ads were designed to show potential attendees that the meeting is a key ingredient for continuing their professional success. 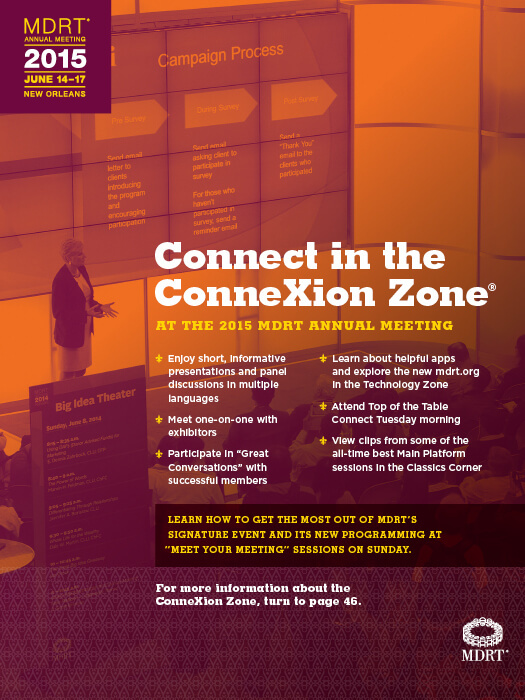 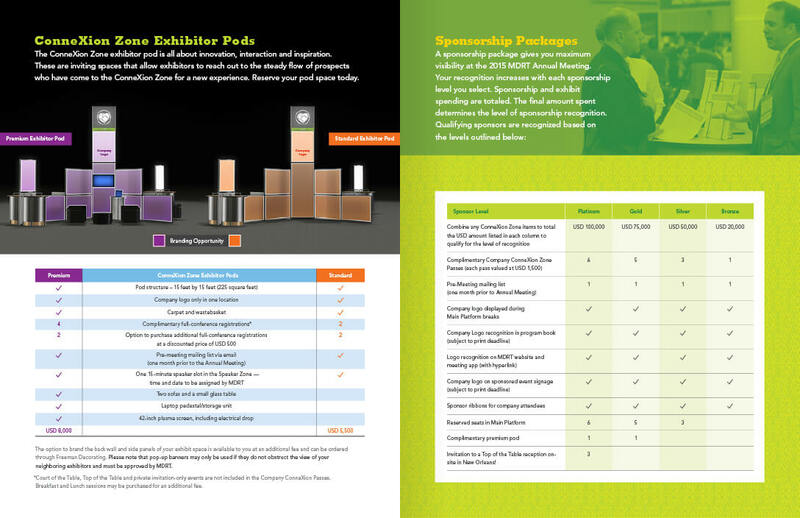 Exhibitors are presented with many different sponsorship opportunities and ways to exhibit at the annual meeting allowing them to connect with the thousands of members that attend each year. 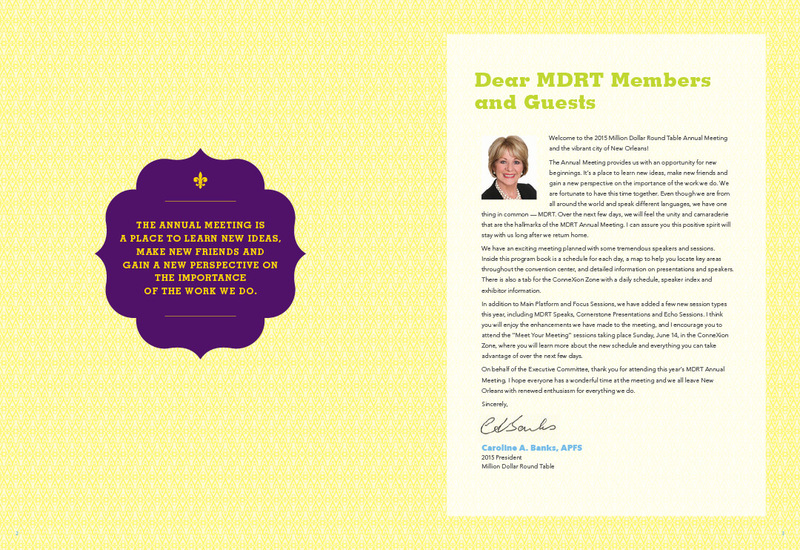 Flyer A flyer was created to advertise the annual meeting to members attending a similar meeting in Asia. 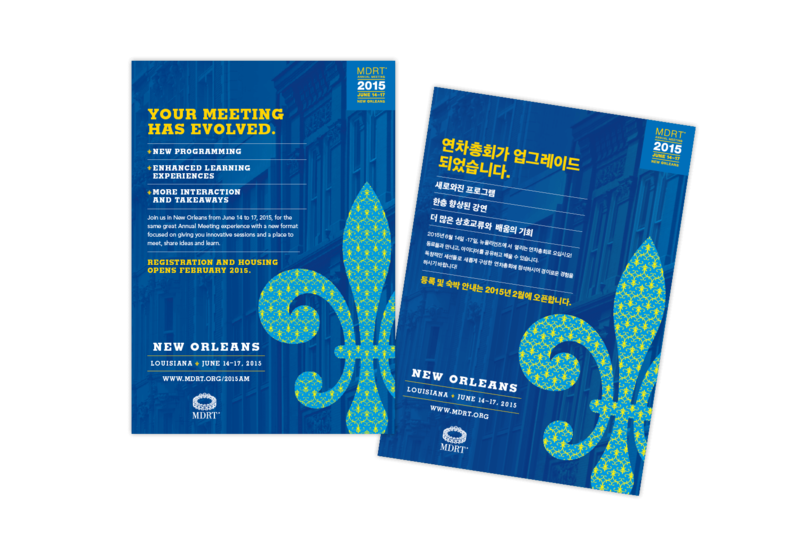 The content was translated into five different languages.